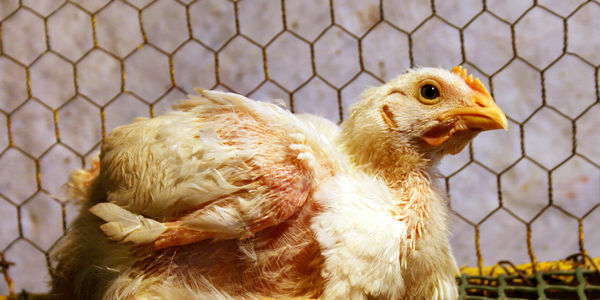 Egg-laying hens crammed into cages so tiny they can't even spread their wings. Breeding pigs and veal calves stuffed into cramped individual cages barely larger than their bodies. It's not only cruel and inhumane to lock animals in tiny cages for their entire lives, it also increases food safety risks. Farm animals and consumers deserve protection from such inhumane and potentially risky products. Many other states and food retailers have adopted cage-free standards – it's time to get ALL farm animals out of cages. The issue is especially urgent for three types of animals – baby veal calves, breeding pigs, and egg laying hens. For the safety of consumers and to improve the lives of farm animals, stand with us in ensuring that veal, pork, and eggs come from operations meeting these modest standards. Sign the petition today and show your support for cage-free standards!